Iberico ham is one of the most luxurious and reputable of cured meat products. Its well-deserved fame has spread across the globe. But elsewhere, especially in Europe, there are other, very similar products. Let's find out about them! Since ancient times, the inhabitants of Rome copied the techniques used across their empire and Spanish ham production methods were no exception. 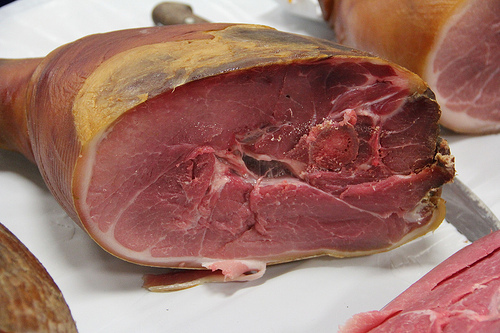 Today, Italy has a regional ham culture like that of Spain, with different areas excelling at different types of ham. Some of these are unheard-of outside Italy while others have gathered worldwide renown. Prosciutto from Parma, for instance, is one of those that has made its mark on the outside world. 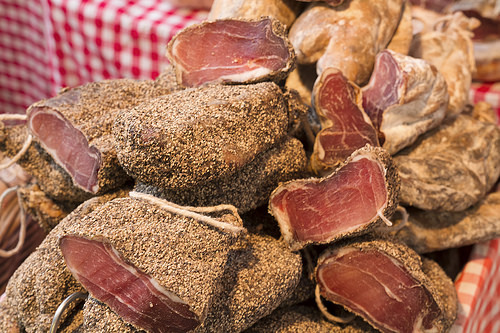 Characterized by a procedure in which fat is removed by manual manipulation with salt for several days before being left to cure, Parma ham has become a common sight in delis and even supermarkets. Meanwhile, La Mancha ham is a smoked boneless ham from Northeast Italy, while La Coppa comes from Calabria and is characterized by being boneless and by marinating for several days before being stuffed into natural casings and smoked, followed by a serveral-months-long curing process. In France, there are also many types of ham. Often the hoof is removed in French hams, in contrast to Spanish hams. 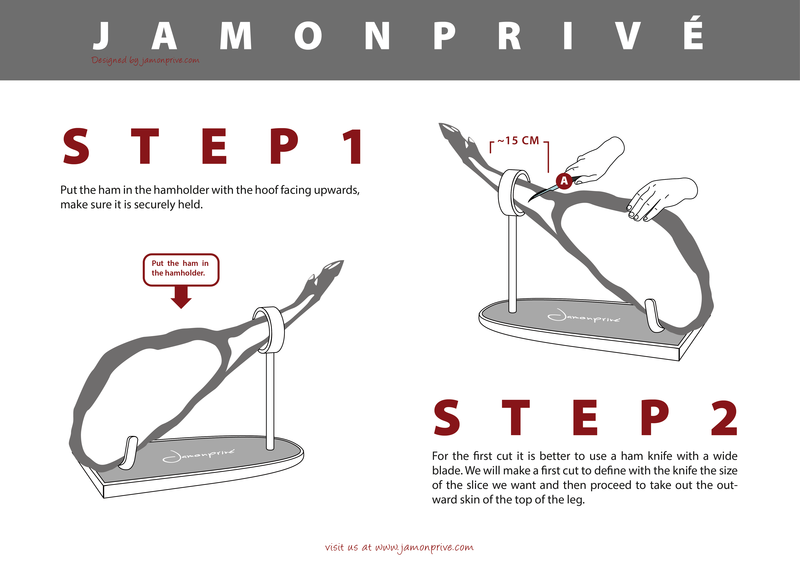 The ham known as Jambon Cru can have varying degrees of quality, depending on the curing time and other factors. The best known ham regions in France are Bayonne and Ardenne, although most French regions have ham cultures of their own, using curing, smoking and other techniques to produce local delicacies. In other countries, there are products that are somewhat like Spanish ham, while never really approaching the quality and craftsmanship of the real thing. In the USA, for instance, country ham, a product that has gained great fame in some states, especially in Virginia, is salted for over a month and usually cured for up to four months, and is almost always eaten cooked. Germany also has its own ham culture. In Westphalia, they make a product surprisingly similar to the US Virginia or country ham. A fully-boned piece is marinated and salted, then smoked over wood chips before hanging. Another place with a well-developed ham culture is China, where they make a Jinhua ham using similar technique, but with minor alterations that make for a very different finished product. Hungary's Mangalica ham has also attracted a following. Named after the Mangalica breed of pigs which is only found in the region, it is made from Mangalica and Duroc and has high levels of marbling fat. Other European nations, including Croatia, Romania, and the Czech Republic produce variants with similar techniques. When it comes to flavor, there's a single factor that has the greatest effect on quality: the pastureland in the Iberian peninsula is the best in the world, and the result is the ideal environment for raising pigs - and an undisputed place at the top of the world's ham producers. Scientific data derived from literally hundreds of nutritional studies and results of competitions and international culinary fairs all agree: ham is the quintessential Iberian product and Iberico ham is the best of the best. The best Iberian pasture is mostly in Spain, though it extends into Portugal, in such regions as Alentejo. While Portuguese ham is overshadowed by Spain in world renown, Portugal produces some excellent hams, many of which are very similar to their Spanish counterparts. It's also posible to find some Spanish hams from white pigs in this area that would be familiar to a Spanish gourmand - Chaves, for example. 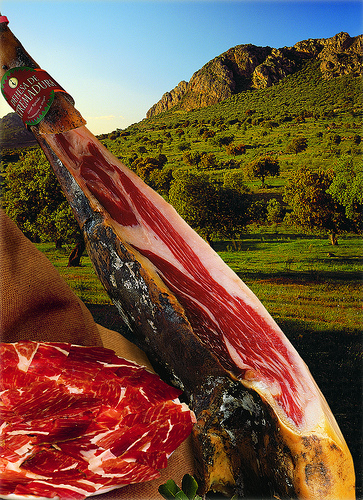 The element that makes the difference to the Iberico ham more than any other is the pasture. Iberian pastures are suited to raising and fattening pigs on the 'montanero' ('mountainside') diet, meaning that the pigs eat wild natural grasses and acorns, resulting in the sought-after 'bellota' flavor pervading the meat. This is the factor which makes the difference in international tastings, which over and again highlight the quality and intense flavor of Spanish acorn-fed Iberico ham. This is made possible only through a strict quality control system and traceability through the production process, which ensures the purity of the breed, the adherence to a montanera fattening regime and the times and methods of salting, marinating and curing. It is interesting to know the different techniques for making traditional products like Spanish ham, but it's impossible to escape the conclusion that Spanish acorn-fed Iberico ham is considered the best in the world, both for its variety and its quality. This reputation can only hope to be maintained if the pastureland is preserved, and if the producers continue to use and refine the traditional techniques handed down to them by previous generations of craftsmen. 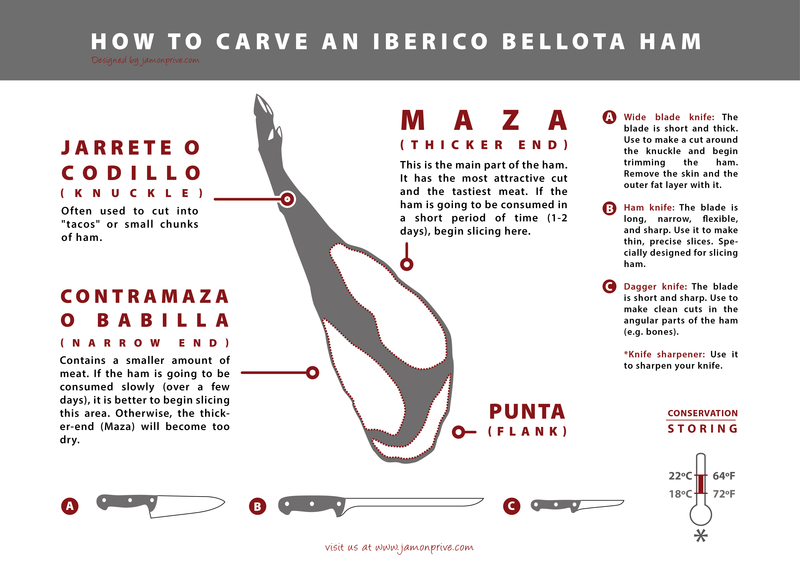 These techniques involve not additives and complex marinades, but the the gradual maturation of the natural flavor of acorn-fed Iberico pork to produce the world's finest ham.